They might look weathered and old from the outside, but this pair of off-grid cabins are emphatically new, offering sustainable smart living in the desert. 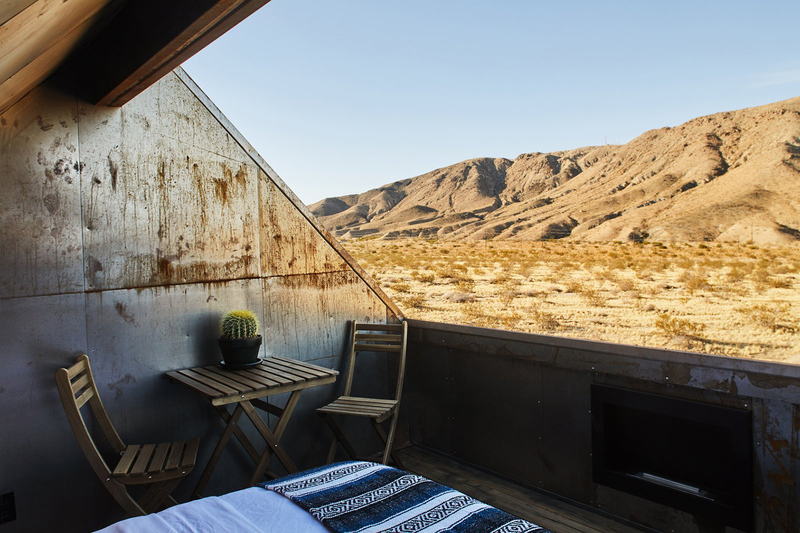 The Folly Cabins were designed by Malek Alqadi and Hillary Flur, and take over the site of an abandoned 1954 homestead in the Joshua Tree National Park that the pair tore down in order the build the dinky dwellings. They salvaged the building’s slab footplate and skeleton, using them to create the basis of the new gabled structures, which are separated by an outdoor terrace. This external space runs through the middle of the lot and is fitted with a rain shower and soaking tub. 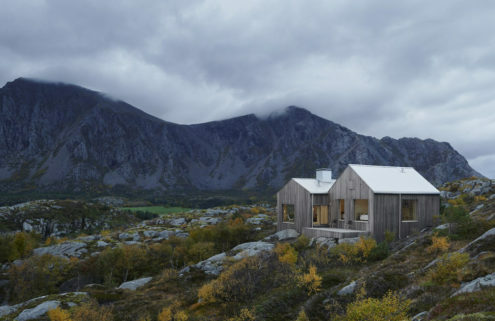 Belying their name, the cabins are fully functional homes and are available to rent via Airbnb from $295 per night. 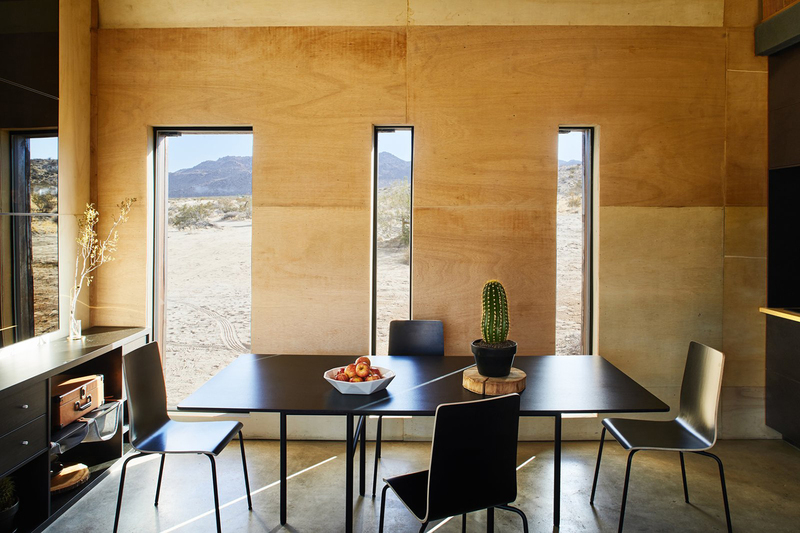 Their reclaimed steel shells help them bed down into the tawny desert terrain, while their interiors feature raw plywood walls. 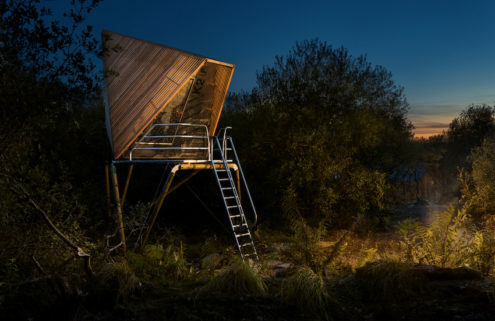 The larger cabin clocks in at 460 sq ft and contains a kitchen, dining room, bathroom and a sleeping loft. The second dwelling contains a guest bedroom and rooftop observation deck for drinking in the desert views. 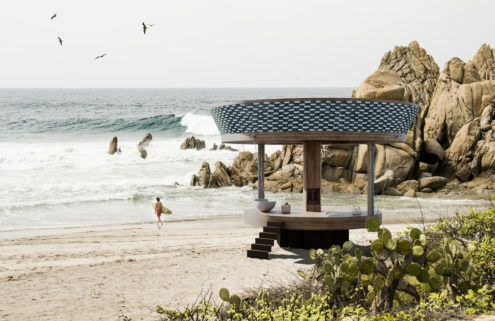 While they are off-grid, visitors can choose whether to digitally detox. 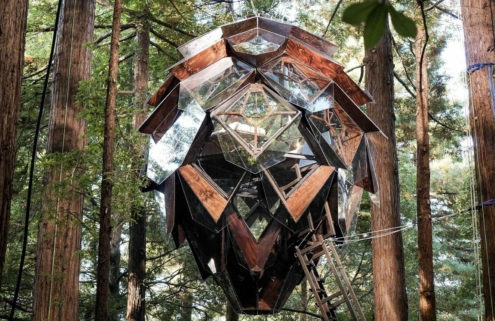 The US holiday homes are powered by a ‘solar tree’ photovoltaic power generator, have WiFi and use a gray-water system. A bio-ethanol fireplace keeps them warm at night, while integrated technology includes an iPad controlled security system and air conditioning.